Alan D. Schwartz is an executive chairman of Guggenheim Partners, LLC, an investment banking firm based in Chicago and New York. He was the last CEO and chairman of Bear Stearns before its acquisition by JPMorgan Chase & Co., having succeeded James (Jimmy) E. Cayne. Schwartz became sole president in August 2007. William Henry "Bill" Gates III (born October 28, 1955) is an American business magnate, philanthropist, and chairman of Microsoft, the software company he founded with Paul Allen. He is consistently ranked among the world's wealthiest people and was the wealthiest overall from 1995 to 2009, excluding 2008, when he was ranked third. During his career at Microsoft, Gates held the positions of CEO and chief software architect, and remains the largest individual shareholder with more than 8 percent of the common stock. He has also authored or co-authored several books. Daniel Sparks, the former head of Goldman Sachs mortgage department. David Kilcullen (born 1967) is an author and a consultant on counterinsurgency and counterterrorism. A former Australian Army officer, he left that army as a lieutenant colonel in 2005 and now works for the United States State Department. During 2007 he served in Iraq as Senior Counterinsurgency Adviser, Multi-National Force - Iraq -- a civilian position on the personal staff of U.S. Army General David Petraeus, responsible for planning and executing the 2007-08 Joint Campaign Plan which drove the Iraq War troop surge of 2007. Kilcullen is also an advisor to the United States; British and Australian governments; the North Atlantic Treaty Organization and several private sector institutions (including the Australian-based Noetic Corporation), on counter-terrorism and counter-insurgency issues. A former Senior Fellow of the Center for a New American Security, he is now on the CNAS's Advisory Board. David Viniar, Executive Vice President & Chief Financial Officer of Goldman Sachs. David Westerholm, NOAA director office of response and restoration. Eric Emerson Schmidt is an American software engineer, businessman and the current executive chairman of Google. From 2001 to 2011, he served as the chief executive of Google. Erskine Boyce Bowles is an American businessman and political figure from North Carolina. He currently serves as the president of the University of North Carolina system. In 1997-98 he served as White House Chief of Staff and he also ran unsuccessfully for a North Carolina United States Senate seat in 2002 and 2004. Fabrice Tourre is a London-based Executive Director at Goldman Sachs who was charged by the SEC on 16 April 2010 in a $1 billion landmark fraud case. Mr. Tourre is a 2000 graduate of École centrale Paris, where he studied mathematics, and a 2001 graduate of Stanford University, where he received a masters degree in Operations Research. He joined Goldman Sachs in 2001 and moved to the structured products correlation trading desk in New York around 2005, managed by Jonathan Egol. Mr. Tourre earned approximately $2 million in 2007 for his role in structuring and marketing the "ABACUS" collateralized debt obligation deals, which ultimately lost a great deal of money for investors. Grover Norquist, president of a taxpayer advocacy group, Americans for Tax Reform. Guy L. "Bud" Tribble, MD, PhD, is Vice President of Software Technology at Apple Inc. Tribble served as the manager of the original Macintosh software development team where he helped to design the Mac OS and user interface. He was among the founders of NeXT, Inc., serving as NeXT's vice president of software development. Bud is one of the industry's top experts in software design and object-oriented programming. Herman Cain is an American author, business executive, radio host, syndicated columnist, and Tea Party activist from Georgia. He was a candidate for the 2012 U.S. Republican Party presidential nomination. James "Jamie" Dimon (born March 13, 1956) is an American business executive. He is the current chairman, president, and chief executive officer of JPMorgan Chase. James E. (Jimmy) Cayne is an American businessman, a former CEO of Bear Stearns, and world-class bridge player. After losing about one billion dollars in net worth from the collapse of Bear Stearns' stock, he sold his entire stake in the company for $61 million. Jon Stevens Corzine is the former CEO of Goldman Sachs and of MF Global, and a former American politician, who served as the 54th Governor of New Jersey from 2006 to 2010. A Democrat, Corzine served five years of a six-year U.S. Senate term representing New Jersey before being elected Governor in 2005. Kenneth Feinberg (born October 23, 1945, Brockton, Massachusetts) is an American attorney, specializing in mediation and alternative dispute resolution. Feinberg was appointed Special Master of the U.S. Government's September 11th Victim Compensation Fund and currently serves as the Special Master for TARP Executive Compensation, popularly called the "pay czar." Additionally, Feinberg currently serves as the government-appointed administrator of the BP Deepwater Horizon Disaster Victim Compensation Fund. Lamar McKay, Chairman and President of BP America Inc.
Lee Herbert Hamilton is a former member of the United States House of Representatives and currently a member of the U.S. Homeland Security Advisory Council. A member of the Democratic Party, Hamilton represented the 9th congressional district of Indiana from 1965 to 1999. Following his departure from Congress he has served on a number of governmental advisory boards, most notably as the vice chairman of the 9/11 Commission. J. Michael Luttig is an American lawyer and a former federal appellate court judge. 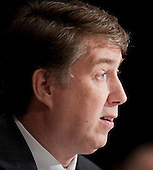 Paul Anastas, Ph.D. is the Assistant Administrator for EPA's Office of Research and Development (ORD) and the Science Advisor to the Agency. Known widely as the "Father of Green Chemistry" for his groundbreaking research on the design, manufacture, and use of minimally-toxic, environmentally-friendly chemicals, Dr. Anastas has an extensive record of leadership in government, academia, and the private sector. Paul Friedman was chief operating officer of Bear Stearns fixed-income division. William Philip "Phil" Gram is an American economist and politician, who has served as a Democratic Congressman (1978-1983), a Republican Congressman (1983-1985) and a Republican Senator (1985-2002) from Texas . He was a senior economic adviser to John McCain's presidential campaign from the summer of 2007 until July 18, 2008. Rex W. Tillerson (born March 23, 1952, in Wichita Falls, Texas) is an engineer as well as chairman and chief executive officer (CEO) of Exxon Mobil Corporation since January 1, 2006. He became the President of the Boy Scouts of America on May 23, 2010. Richard Berner is the managing director and co-head of global economics and chief U.S. economist for Morgan Stanley & Co. Inc.
Robert Bernard Reich is an American political economist, professor, author, and political commentator. He served in three national administrations, including that of Presidents Ford, Carter, and as Secretary of Labor under President Bill Clinton, from 1993 to 1997. Ryan Clark Crocker (born June 19, 1949) is a Career Ambassador within the United States Foreign Service and a recipient of the Presidential Medal of Freedom. He was the United States Ambassador to Iraq until 2009; he previously served as the U.S. ambassador to Pakistan from 2004 to 2007, to Syria from 1998 to 2001, to Kuwait from 1994 to 1997, and to Lebanon from 1990 to 1993. In January 2010 he became Dean of Texas A&M University's George Bush School of Government and Public Service. Stephen J. Rotella serves as President of Chase Manhattan Mortgage Corporation. Mr. Rotella served as Chief Executive Officer of Chase Home Finance, LLC and Executive Vice President of JP Morgan Chase since 2001. He served as the Chief Operating Officer and President of Washington Mutual Inc. from January 10, 2005 to October 2008. Steve Flynn, vice president of health, safety, security and environment at BP Global in London, U.K.
Steven Newman, president and CEO of Transocean Ltd.
Thurgood Marshall, Jr. is an American lawyer and son of the late Supreme Court of the United States Justice Thurgood Marshall. Thurgood Marshall Jr. worked in the Clinton White House and is currently a partner at the international law firm Bingham McCutchen, LLP and a principal at its lobbying subsidiary, Bingham Consulting. He is also a member of the Board of Governors of the United States Postal Service and a member of the Board of Trustees of the Ford Foundation. According to documents filed with the SEC, he is a director serving on the board of Corrections Corporation of America, the largest commercial vendor of federal detainment and prisoner transport in the United States. Thurman Higginbotham, former deputy superintendent of Arlington National Cemetery. Tom Adams is the President and CEO of Rosetta Stone. Anthony Bryan "Tony" Hayward (born 21 May 1957) is the Chief Executive of oil and energy company BP Group, taking over from John Browne, Baron Browne of Madingley on 1 May 2007. Trevor Schaefer of Garden City, Idaho, 21, was diagnosed with brain cancer as a teenager, and he believes that his illness was caused by environmental toxins. After he underwent treatment and beat the cancer, he and his family began lobbying the government to find ways to reduce childhood disease. U.S. senators - Republican Mike Crapo from Idaho and Democrat Barbara Boxer from California - have introduced Trevor's Law, a piece of legislation that would allow federal authorities to investigate areas with high rates of disease for possible environmental causes. Zainab Salbi is an Iraqi American writer, activist and social entrepreneur who is co-founder and president for Women for Women International.